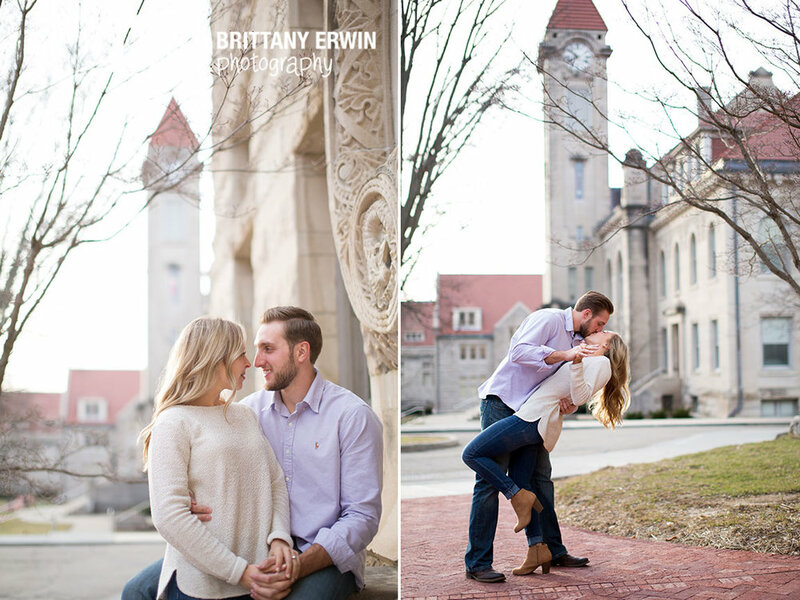 Caitlin and Dustin met down in Bloomington at Indiana University and Dustin even proposed right on campus so it was only fitting that we do their engagement session down at the campus where it all started. 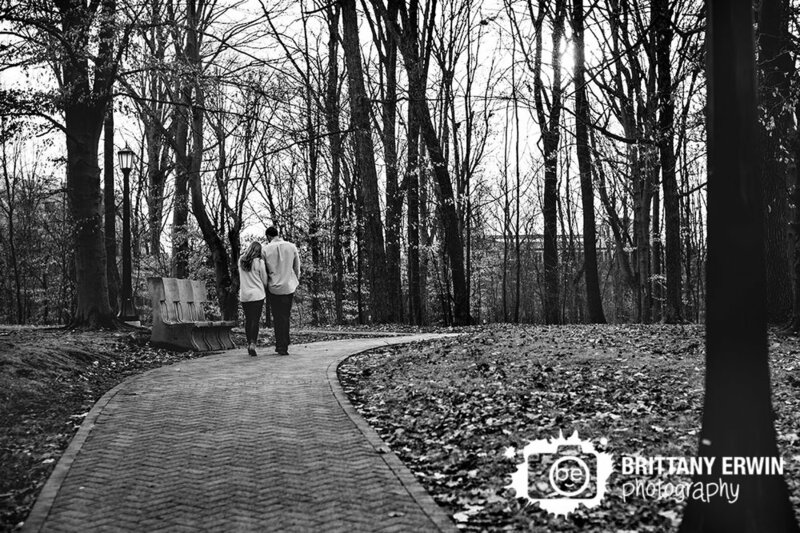 I had so much fun walking around campus with these two lovebirds on what I'm calling the nicest day of the year to date. We had to reschedule after the not-so-lovely ice storm we had and it seems that it was all for the best because on Sunday the sun came out and it got all the way up to 50 degrees! We had an absolutely stunning sunset that we took full advantage of as we walked the lovely grounds that are beautiful year-round. Thank you so much to Caitlin and Dustin for all the laughs and for showing me around the town you love. I am SO excited for the big day this fall!